We are pleased to announce the protection in perpetuity of a 13- hectare property in the municipality of Orford. A group of citizens wanted to protect a large property to safeguard its natural habitats. Aware of the ecological importance of this area and sensitive to the aspirations of this group of citizens, Appalachian Corridor accompanied them throughout this interesting project. “We are proud to have used our expertise to benefit both the ecology and citizens! We warmly thank the project’s initiators, donors, and Mr. Collins who made a generous ecogift. Together, they chose to make a positive difference in protecting our forests and their biodiversity. 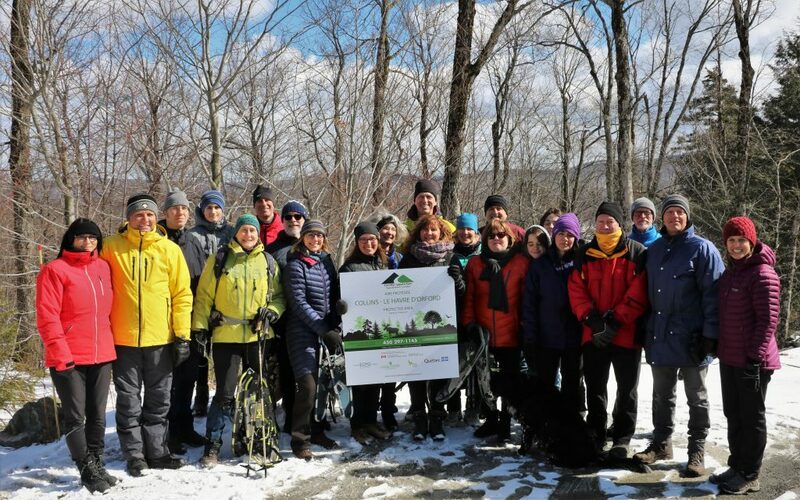 We have an exceptional community that is truly committed to protecting the natural environment” said Mélanie Lelièvre, Executive Director at Appalachian Corridor.